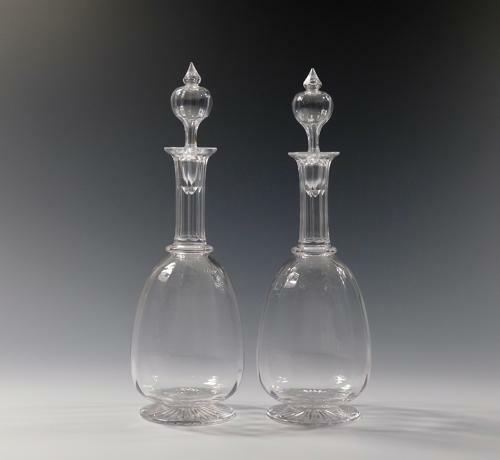 Pair of footed decanters with cut neck flutes, single shoulder neck ring, the body with optical moulding and original matching stopper. English C1880. Condition: Very good with no chips or cracks. The decanters have been professionally cleaned. Note: A nice clean pair of decanters.